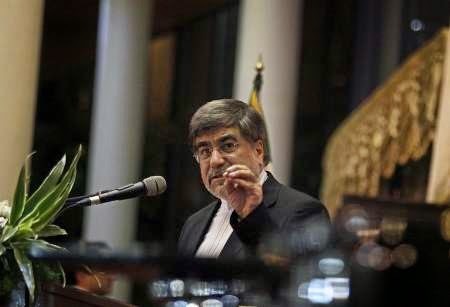 Tehran, Feb 19, IRNA Minister of Culture and Islamic Guidance Ali Jannati said his ministry would defend “music” programs while remaining faithful to all religious etiquettes. He made the remarks here on Friday in the closing ceremony of the 30th International Fajr Music Festival. He noted that certain political groups are manipulating the sincere religious sentiments of people to downgrade the art of music. He stressed that his ministry while observing all religious etiquettes and regulations of the Islamic system will defend spread of this art. Referring to attempts by some political groups to create a certain atmosphere around the activities in the area of music, he said that Ministry of Culture and Islamic Guidance vigoursouly believes it know all religious and government regulations much better than such groups. He said all the concerts having received permissions by his ministry for their public performances have been abiding by all regulations. He said the ministry will support such performances and is not going to give in to the pressures of self-willed groups. As for propaganda saying that women singers have been given licenses for solo performances, he said all these are attempts to mar the political atmosphere in the country. The minister said had his ministry issued such licenses, it would had defended it. However, he stressed, no such permissions have ever been issued and the self-willed groups are only scattering the rumor based on the incorrect information they have received. Referring to the important status of the Fajr Music Festival in safeguarding the vitality and dynamism of the Iranian music, he said all should join efforts to protect this wave. Jannati added that the Ministry of Culture and Islamic Guidance as the embodiment of the government of President Hassan Rouhani is using all its capacities to support and protect the sublime and dignified art of music the nation possesses.